One of the major difference between a website and a blog is commenting system. WordPress which is powering 20% of websites in the world (January 2014 report), offers default comment form which will let a commenter like you to add name, Email address and website URL. There is one thing which every WordPress blogger should ask themselves; if they really need Website link in the comment form. Depending upon the site niche, sometime it’s useful not to have a website link in comment form. 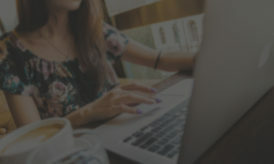 For example, this blog is targeted to users who are using WordPress blogging platform and having website link in comment form makes complete sense, as they are the blog owner and having their website link is not only important for them, but also helps me to get more comments from experienced blogger or new blogger who have any query. Similarly if you are blogging in a generic niche where users don’t have a website or blog (Ex: relationship, sports, other niche..) it’s a good idea to get rid of website link to preserve your Google link juice and keep your blog away from spam. There are many ways by which you can get rid of links within comment form, and one of the most recommended setting is by editing your WordPress core file. This is one method which I’m not really fan of, as this requires playing with code and I’m not much of a coder. More over, I don’t want to repeat the steps after every update of my WordPress blog. Here I’m sharing one useful WordPress plugin which will remove the Website link section from your comment form and also it will remove all linked website from the commenter name. This is useful for any blog which is sitting idle or a WordPress blog where commentator website link feature is not required. As name suggests this is one WordPress plugin which doesn’t require any configuration and works out of the box to get rid of Website link in comment form and also remove all the linked websites from earlier comment. 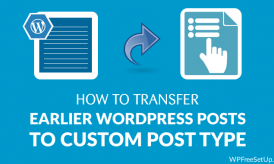 I have tried and tested this plugin on one of my client WordPress blog, and it worked like charm. Though in this particular case, my client has also enabled the Gravatar (custom coded) which is linked to comment author URL, so I had to disable the Gravatar feature from WordPress discussion settings. Here is how commentors links were removed after enabling this plugin. One link which you see one above screenshot is due to Comment Luv WordPress plugin, and I highly discourage using Comment Luv plugin as it doesn’t help you much. Instead it encourages more spam comments and comment which are made just to gain the links. 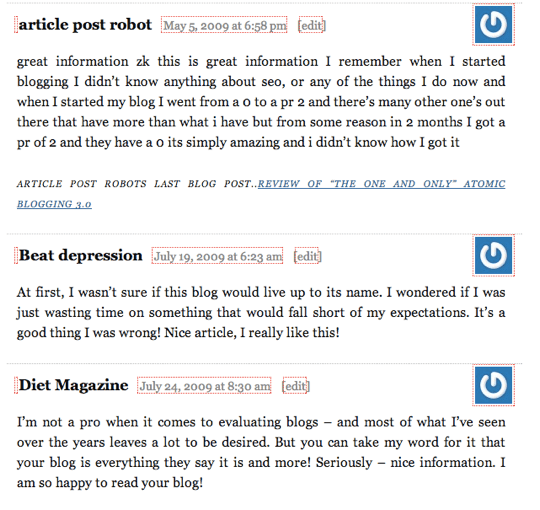 Plugin name to search : Remove links from comments or here is direct link from WordPress plugin repo. As a blog owner, it’s your right to decide if you want to keep comment form on or not. With the increasing number of spam comments; for certain niche it’s good to not have a website link column to avoid spam comments. Do let me know if you are going to use this plugin or not. If yes, why you getting rid of website link in comment form? i am your regular reader on shoutmeloud and i was not aware that you run this website too. good to see that its alexa is also low. you are definitely a master of seo. I have’t seen this problem on my blog as of now as it is a new blog but i think i may require this information for future days. Thanks for the good information, But I just want to know that does this plugin stop the Comment Spam.